What is Dupuytren disease ? It’s a shrinkage of the palmar fascia due to the formation in it of fibrous nodules. These nodules cause adherences with the skin and flexor tendons of the fingers. It leads to a gradually irreductible flexion of these, first on 4th and 5th, then the other fingers, often symmetrically. After surgery, physiotherapy may be needed to work on the scar and prevent the recurrence of the fibrosis. Thanks to Winback tecartherapy, new elements are added to conventional physiotherapy (hook, gua sha, scrapping tools, manual therapy…). 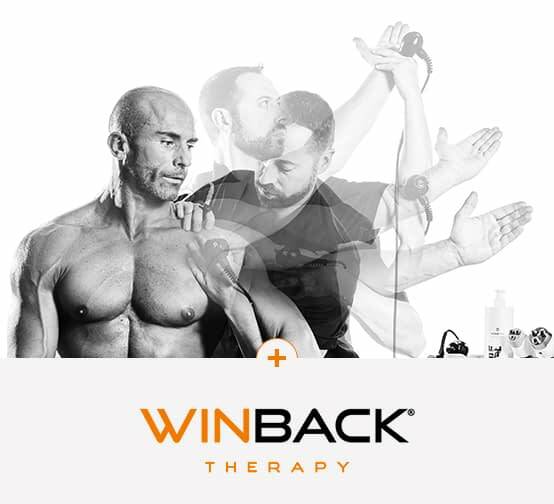 Those elements are involved in pain management, blood circulation, healing process and recovery of the grip functions..
How to treat it with Winback tecartherapy ? 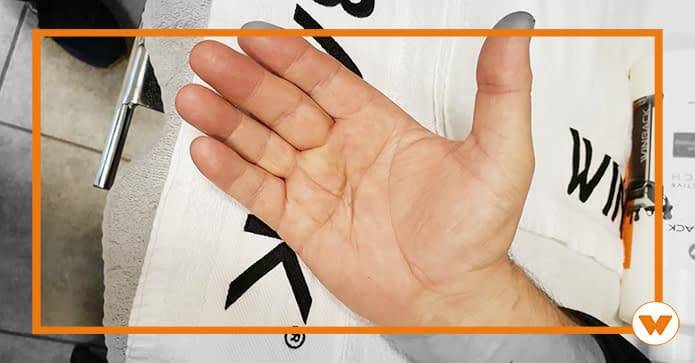 Treament of a case of Dupuytren disease by a physiotherapist Michael Stassin, based in Frameries (Belgium). In the first phase of treatment, the practitioner is using the 4.0 mode with the MIX3 multipolar electrode. With this modality, the action on the scar is superficial/cutaneous. The purpose is to restore the elasticity in the scar and to revascularize it. In a second time, the physiotherapist is using the Tecar 6.0 to work on the fibrosis tissue. This device has the benefit of having an immediate action which improves the elasticity, softens the tissues and allows an easier work on the fasciae. On long-term, it will boost the healing process and the collagen synthesis. Its effects will be visible several days after the session. In this video, M. Stassin is using the Winback energy combined with the physioblade (Winback Fascia Skills) and then the Tecar 5.0 mode with two bracelets in order to use the elasticity’s improvement generated by the previous treatment. In the case of this disease, the collagen fibers are vertical instead of being horizontal, which inhibits the movement. The use of the fascia skill, by transverse friction movements, will help to restore the gliding properties. The goal is to rearrange the fibers in the right direction. The use of this protocol allows the physiotherapist to work faster. The diathermy will liquefy the area. This allows to focus the action of the practitioner, which requires less effort for him and being less painful for the patient. It’s on these aspects that the tecartherapy, especially the 6.0, has big advantages. Because of the fluidity generated, it becomes more effective faster. You want to use the same treatment ton your patients ? Feel free to contact us or register for a formation here !